One of the great joys of classical composing is the plotting and planning of new sounds, harmonies, and rhythms. Many composers delight in working out exactly which instrument will sound when, which voice forms what part of a harmony, or how a motif will be created, twisted, and perhaps developed, morphed, or abandoned. Just like writers or filmmakers, many composers think ahead in order to work out the ebbs and flows of tension that create an arresting musical narrative. In many ways, this method of working stems from the natural impulse to control one’s creation—by writing out a precise score, the composer attempts to control what will happen at any given moment during the performance of the piece. In extension of this idea of a pre-planned narrative, in the twentieth century it has become ever more common to fill a score with detailed markings. While scores by earlier star composers, such as Mozart or Beethoven, would have implied rather than explicitly spelled out the way they imagined a musical phrase to be played, many scores by such twentieth-century heavyweights as Stockhausen or Nono, and indeed many other serialist composers, indicate very specific dynamics or tempos, and even specify the exact duration of a phrase in seconds. Pages are covered in markings, technical jargon, and footnotes to make the meaning of each phrase and bar crystal clear to the performer. In contemporary music circles the inclusion of such details is often seen as careful craftsmanship and an assertion of the composer’s artistic vision. However, given that these pieces are expected to be performed by living, breathing performers—who have spent a lifetime practising how to add a personal touch to each piece they play—in reality, such a fine degree of control is nearly impossible to achieve. 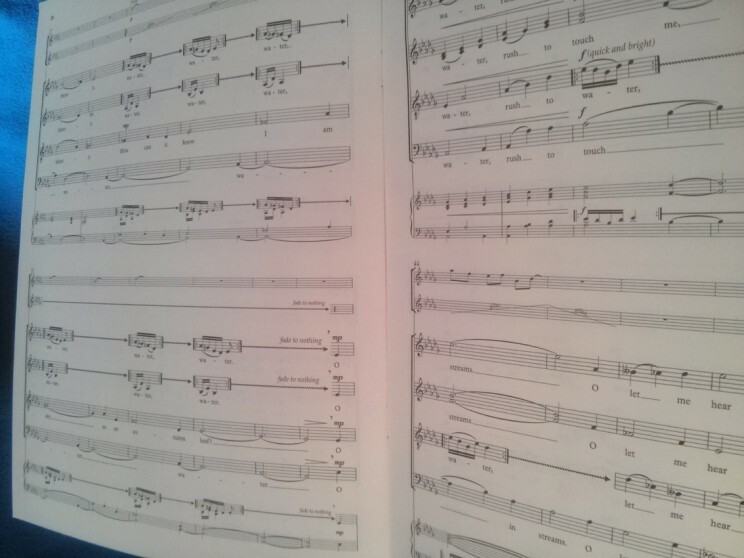 No matter how detailed the score, a performance will inevitably be unique: each one takes place under different conditions, in different venues with different acoustics, performed by different musicians with different moods, skills, and artistic approaches. In that way, live music differs from recorded music—it can never happen in a vacuum. Each performance represents a unique moment in time that will never be repeated quite the same way. This quality of uniqueness is precisely what can make repeated live listening of a familiar piece so rewarding: the tension of the audience’s expectations, based on previous hearings, clashing with the reality of a new interpretation is an essential driving force of the experience. In light of the unpredictability inherent in a performance, some composers have given up any pretence of control and officially handed the creative reins to the performers. By designing pieces that include musical ideas for performers to interpret in a uniquely personalised way, the composers can provide a rough framework for the piece but let the performers create something new and unique on the spot. Terry Riley’s seminal piece In C is a prime example of this practice: performers work their way through 53 musical motives, each player repeating these as many times as he or she wishes before moving on to the next one; the resulting overlap of sounds and repeated motives creates an ever-moving carpet of sound that can never be recreated. Today, a whole host of alternative compositional models exist to enable the performers’ spontaneity—such as graphic scores, which may only provide visual images to stimulate the performers’ imagination. 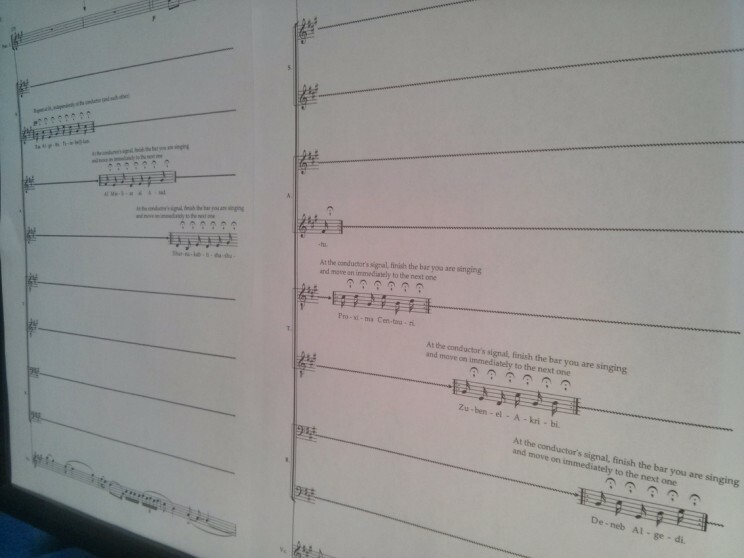 Perhaps the most radical solution is expressed in John Cage’s 4’33’’, which presents the musicians with a few simple instructions and then a blank page; for 4 minutes and 33 seconds the performers and audience make their own music by listening to the sounds that occur during this time period. 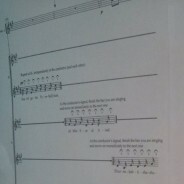 However, these approaches beg the question of how much creative ownership of the piece the composer can still claim. If the performer actively creates content in response to a stimulus provided by the composer, how is that any different from responding to a story, a landscape, or a moment of human interaction, as any creator does? In an age where drawing on concepts provided by others is seen by many as a valid, even unavoidable way of gaining inspiration, who is the creator and who the performer? Many former members of rock bands have fought epic legal battles over who in the band composed a song and who merely performed it. On the other hand, the opposite extreme can deny a performer’s sensitivity altogether: a pedantically notated score cluttered with so many detailed instructions that it denies any artistic input from a player might as well have been written for a computer programme. If there is no space for musicians to imbue a piece with their own spirit, then what becomes of that tension and unique experience of a live performance? Then why perform the piece at all, why not create a definitive recording instead? Such thoughts are exaggerations of course, but they do highlight a common problem that composers face in the wake of these two composing traditions: how much control should they retain? How much leeway should they give to the performer? There are no right answers to these questions, but it is interesting to see how different composers handle such issues in their own way. Oxford University Press composers are no exception to this: in Gabriel Jackson’s To the Field of Stars for SATB, percussion, and cello and Bob Chilcott’s The Miracle of the Spring for SATB and percussion, both composers use largely conventional notation methods to communicate the piece to the performers. However, for specific climactic sections, they allow the singers to repeat their lines freely and independently from the still strictly notated and metred accompanying lines—in Jackson’s case, sometimes even independently from each other or a conductor. By allowing some performers to act on their own artistic initiative while others play predetermined music, the composers ensure that these memorable moments of unpredictable shifting sounds will never be performed the same way twice, but still maintain a degree of control over the overall form. Chris Corcoran worked in Oxford University Press’s Music Department until last month. He now has an Embedded Composer Residency with Club Inégales, and is studying for a PhD in composition at Cambridge.